Below is the text of the speech made by Lord Adonis in the House of Lords on 31 January 2017. My Lords, this is a huge investment and the noble Lord, Lord Framlingham, need not apologise for putting down his amendment or opening this debate. Given the views that he holds, I think he is absolutely right to require the House to come to a decision after a debate and without simply proceeding straight to a vote before such an investment is made involving an important strategic departure from our transport policy. The noble Lord and my noble friend Lady Mallalieu made two claims: first, that this project is somehow undemocratic because it has not properly been considered by Parliament and the people; and, secondly, that I and those who followed me were somehow bewitched by trains doing what they seem to do in most of the rest of the world—that is, running at 200 miles per hour and linking up the principal cities of countries with economic geographies similar to our own. Perhaps I may deal with those two points in turn. I was very firmly of the view—and the Prime Minister at the time, Gordon Brown, came to the same view—that it would be profoundly undemocratic to announce an intention to build such a major infrastructure project as HS2 knowing what the route would be but hiding it until after the election from the people and, in particular, from those who lived in the constituencies affected. So we published the route before the election. All three major parties had a commitment to HS2 in their manifestos for the 2010 election. Because of the public meetings that I conducted in the 2010 election, I know that it was—how can I put it?—a very live issue in that election. I remember addressing one meeting where I said that I thought that HS2 would be on my tombstone and somebody from the back shouted out, “Not soon enough”. So there is no way that this scheme was disguised from the people in the 2010 election, and an overwhelming majority was returned supporting HS2. It is hard to see how the noble Lord, Lord Framlingham, can sustain a charge of a lack of democracy in this process. It has been almost a model of democratic engagement: there have been two general elections; two parliamentary committees; thousands of petitions, which were considered patiently by Members of a Select Committee in both Houses; and two votes in the House of Commons—on Second Reading and Third Reading—in which the Bill passed 10 to one, with very large numbers voting. “alongside such additional capacity there are real benefits for the economy and for passengers from improving journey times and hence the connectivity of the UK”. The noble Lord and my noble friend spoke as if there might be a free lunch—if we do not build HS2 we will save large sums of money. I freely confess that constructions costs are high. If someone could wave a magic wand and reduce them I would be glad to hear from them and I think the House and Parliament would be well served. The two key points in relation to the costs are these. First, if HS2 is not built then other, very expensive interventions, which will probably end up costing about the same amount of money, will be needed to systematically upgrade the west coast main line to meet the requirements of the next generation. Those upgrades will not produce anything like the capacity that could be produced by building a new railway to 21st-century specifications. The first function I performed as Minister of State for Transport was opening the refurbished west coast main line. That line is often described as Victorian. 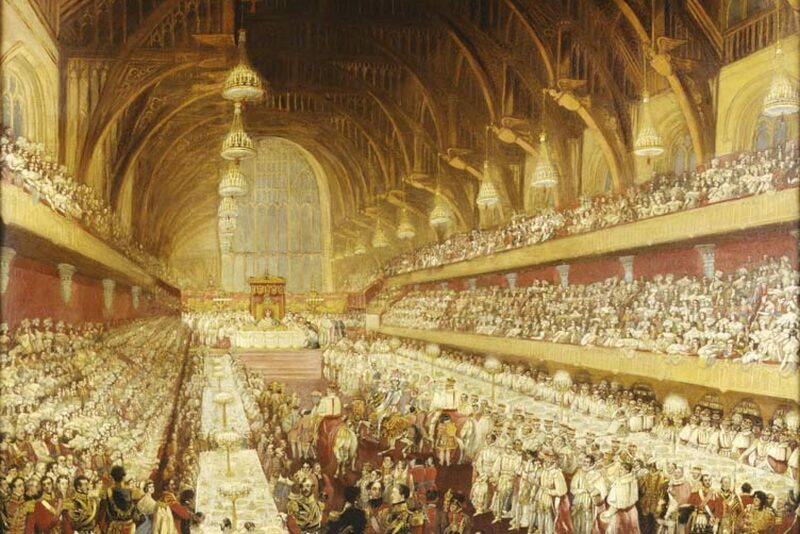 It is in fact pre-Victorian; it was opened for the coronation of Queen Victoria in 1838. Only four miles of the line—between London and the extension north from Birmingham, built after the coronation—are straight, because it had to be built around the estates of Members of your Lordships’ House. I can assure the House that in earlier hybrid Bill Committees, noble Lords were extremely good at getting compensation for the building of the line—much greater in real terms than is available to those affected now, which is of course part of the reason that the project is controversial. They were also good at making the line take detours. Upgrading a pre-Victorian railway is a very difficult task. It has been described to me as like performing open-heart surgery on a moving patient. It is also very expensive and complex. The completion of the last upgrade of the west coast main line, which produced only a fraction of the additional capacity that HS2 will produce, cost, in pre-2010 prices, £10 billion—in post-2010 prices that figure would be significantly higher. Of that £10 billion, £1 billion alone was for paying the railway company not to operate services at all in compensation for the disruption. For HS2, with the scale of the work that would be required, the proportionate figure would be larger still. If an alternative scenario to HS2 were to be carried out—upgrading the existing railway—the estimate that was made for me by officials in 2010, and which has been done again since, is that you would have to spend half as much as on HS2 for a quarter of the capacity, and of course the sum is a moving target because of construction costs and inflation. The idea that this is good value for money is for the birds. It is good value for money only if the limit of our horizons for the modernisation of this country and of the transport links between our major conurbations stops in 10 or 15 years’ time. If we are doing what I regard as our job as parliamentarians—looking to the longer term—then it is very poor value for money. I should add that the alternative scheme involved the complete rebuilding of Euston station, which will need to be done anyway. The great monstrosity that is Euston station was built for half its current capacity in the 1960s. I am glad to say, for those with a sense of history, that the Euston arch will come back when the station is rebuilt. The scheme also required hugely ​difficult and expensive work that would involve weeks on end of closures to realign tracks and signalling, extend platforms at all the main stations going north from Euston and so on. Those of your Lordships who used the west coast main line when the last work was being conducted will know that the disruption was chronic for the best part of a decade. We would be looking at something significantly worse than that if we were to seek to modernise the west coast main line on the scale required for the additional capacity. It is not just the west coast main line that would be affected. In order to provide that 25% extra capacity, the Chiltern line would need to be substantially four-tracked throughout. I am not the most popular person when I appear in the Chilterns to explain the benefits of HS2. However, I can tell your Lordships that if you were to go the Chilterns to suggest that the existing railway be four-tracked, all of which goes above ground and which would have a significantly worse impact on the environment than HS2, I wish you luck in conducting those public meetings. The choice that we faced was between building a new line between the major conurbations of the country to provide three times the existing capacity and the essential economic backbone for interchange between those great conurbations for the next generation, or conducting yet another patch and mend of a pre-Victorian railway at huge expense and offering a fraction of the capacity. I believe the decision that we took, which the coalition Government and now the existing Government have stood by, was exactly the right one, looking to the long term. The big mistake that has been made was the failure over the previous 40 years to adequately modernise the railways and, instead, to make do with patch-and-mend solutions that were hugely expensive and did not meet the exigencies of the case. Below is the text of the speech made by Sir John Major, the former Prime Minister, on 14 November 2017. When Esther Gilbert invited me to deliver this inaugural Lecture in Martin’s name, I was honoured to be asked, and delighted to accept. Many – perhaps most – of you present will have known Martin, enjoyed his friendship, and admired his talent. There was much to enjoy, and a great deal to admire. I first met Martin over 30 years ago, and liked him immediately. He was highly intelligent, inquisitive – and interested in everything. He was also self-effacing and modest. Rarely has so much talent been so well concealed. And his was a mighty talent. Together with Boswell’s “Life of Johnson”, Martin wrote one of our greatest biographies. His volumes on the life of Winston Churchill may never be bettered. If Churchill was our greatest Briton – and it is easy to argue that he was – then Martin will be remembered as his peerless chronicler. Churchill once said that history would treat him kindly because he, himself, would write it! But it will also do so because of Martin’s monumental work. Anyone who knew Martin learned very soon that he was a workaholic: his 88 books testify to that. To him, recording history was an obligation seared deeply into his soul. He accompanied me once on a tour of Israel, and sat in on all my meetings – including those with Prime Minister Rabin and Yasser Arafat. He recorded – with commentary and colour – every word and action of significance, together with shrewd judgements upon them. If it had been practical to do so, I would have taken Martin everywhere. But Martin had other work to do. He wrote extensively, and with affection and insight, of Israel – as well as a comprehensive history of the 20th Century – certainly the most crowded and bloodthirsty Century that history has yet known. But, despite his special interests, Martin was an observer of the whole world: he focused on the key events; and – in his writing – not only brought the past to life, but often foresaw what its effects would be. The chronicler and historian was also a seer – and his intuitive and enquiring mind over how history unfolded provides my theme for this evening. Those were the questions to which Martin always sought answers. Martin saw the world as it was. At this moment, we need to see it as it is. Some of what is happening today is uplifting: but much is not. Forty years ago, four in every ten people in our world lived in dire poverty: today, notwithstanding a near doubling of world population, that has fallen to less than one in every ten. Today, and every day, that number falls by a further quarter of a million. In the last 25 years, child mortality has halved – and better medicine and diet has saved the lives of 100 million children. I could go on. In the midst of the noisy mayhem, it is easy to overlook quiet, meaningful progress. We can be proud, too, of the advances in science, in technology, in medicine and in longevity. So much that was once a mystery is now known. So much that once seemed impossible is now a daily occurrence. But, while science and humanity have advanced, politics and statesmanship have not. In some ways, we seem have gone backwards. The United Nations reports that – only last year – 67 democracies saw a decline in political and civil liberties, and only 36 countries registered gains. Hate crimes have increased. Terror continues unabated. In many countries – in and beyond Europe – nationalism and populism has bred intolerance – and has grown. Often, this is the seedbed of autocracy and the signpost to outright dictatorship. History has surely taught us not to ignore this: I know that Martin would never have done so. As one looks around the world, there are wars – or civil wars – in Syria, in Iraq, in Libya, in Somalia, in Yemen, in Darfur and, of course, in Afghanistan. There are new, and dangerous tensions, in Korea and the South China Sea. The Middle East remains part war zone, part uneasy peace, part tinder-box waiting to be lit. Syria is a failed state. Sunni–Shia rivalry – epitomised in Saudi–Iranian tensions – de-stabilises the region. The former unity of the Gulf States has gone. Neither Turkey nor Egypt is in a state of grace. And, in the twenty years since the assassination of Prime Minister Rabin, an agreed solution to the Arab–Israeli conflict seems further away than ever. People sometimes speak of the Middle East as though it were a single problem requiring a single solution. It isn’t: it is many intractable problems – often poisoned by the past, and with emotions too deep and too wide to be readily stilled. There are also armed conflicts – too many to list – that in recent years have been seen on every Continent. And there are new threats, unlike any we have known before. Many States – and, most probably, terror groups as well – are developing offensive cyber capabilities that could be targeted anywhere. It is conceivable we might not even know we were under attack – or from where that attack had come. But we know how it could be deployed. It could hit anything from missile defences to nuclear power plants; to water supplies; to innovative research; to business interests; or to Government secrets. Every interest, including national interest, is potentially vulnerable – in this and every other country. We are living through an uneasy time, with an extraordinary diversity of risks. Commonsense would suggest that the most powerful nations of the world would be getting together around a table to address these common problems. But they are not – because political squabbles are standing in the way of statesmanship. So, in these turbulent times, we are adrift with no anchor of purpose. Solutions require diplomacy and statesmanship, yet – at the moment – both seem in short supply. This is worryingly true of the relationship between America and Russia and the EU. At the moment, America and Russia look at each other with a level of mistrust not seen since the dog days of the Soviet Union. This is not simply the result of grand-standing by Presidents Trump and Putin – although that is a factor. But the root of antagonism lies in intractable political attitudes that are not easily resolved. Russia claims American policy is hostile to her interests. America believes Russian policy towards her neighbours is aggressive. Russia believes America is waging economic war on her, and encouraging regime change. She accuses the West of interfering in her traditional sphere of influence. She is suspicious – and resentful – of NATO expansion into former member nations of the Warsaw Pact. America’s concerns are a mirror image. She argues that former Soviet Union countries, now satellites to Russia, have an absolute right to self-determination and sovereignty, and shouldn’t be menaced by Russian ambitions. She accuses Russia of invading Ukraine; supporting a despot in Syria; and interfering in the recent American Presidential election. 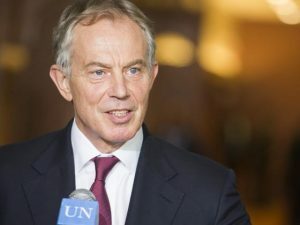 There are further disagreements about Iran, Libya and Afghanistan – as well as upon issues of trade and climate change. A failure of diplomacy enables these grievances to curdle – and they are doing so. On both sides the charges are deeply felt, and supported by popular opinion in their respective countries: even with goodwill, it would be challenging to resolve them – but at present there is no goodwill. And this is relevant because we live in an age in which popular prejudices affect policy more than at any time in modern history. Mr Putin – who was elected to make Russia strong again – delights in tweaking Uncle Sam’s nose, because to do so is wildly popular with the Russian people. To add to the mix, the EU has its own very similar store of grievances with Russia. It is also out of step with America over policy to contain Iran’s nuclear ambitions. Nor does Europe agree with other policies of an erratic American President they neither understand nor much admire. They worry about his commitment to NATO, to free trade, and to America’s European allies. In the midst of all this, British electors have voted to leave the EU – albeit without the opportunity to explore an opinion on how we should leave – or what future relations we should maintain. That was denied them with a ballot offering a simple “Yes” or “No” answer to an issue of immense complexity and detail. I don’t wish to enter the labyrinth of trade and commerce options with Europe this evening. These are important to our economic and social wellbeing, but the implications of leaving go far wider. Our departure has political consequences that may be as profound as any economic effects. Martin, I think, would have focused on these. One – for obvious reasons crucial to me – is the question of a customs border between Northern Ireland and the Republic. In the Referendum, Tony Blair and I travelled together to Northern Ireland to warn of the risks to such a border – only to have our concerns dismissed. It seemed it was – and remains – the problem no-one wished to confront, and everyone wished to vanish away. But how can it? The Peace Process has transformed life – not only in Northern Ireland – but in the South. Relations between Belfast and Dublin have improved beyond measure – and those between London and Dublin are now better than at any time in our history. For the last two decades, the lack of any physical border has made a vital contribution to community harmony, as well as trade between North and South. Now, albeit in a different guise, a border is likely to return. There is general goodwill to resolve this issue, but no-one has yet found an acceptable way of doing so. The obvious options fall foul of partisan politics. We could stay in the Single Market and Customs Union. The British Government opposes that. We could conduct customs controls within the Republic. The Unionist Parties oppose that. We could grant Northern Ireland a unique status in which they, and they alone of the United Kingdom, remain in the Single Market. That is constitutionally hard to accept for the British Government and anathema to the Unionists. Such an outcome also has dangers. It would be likely to increase calls for a Border Poll, in which a divided public in Northern Ireland – who voted to remain in the EU – are asked if they still wish to do so by leaving the UK and becoming part of the Republic. This could well lead to violence. All these ramifications were not only foreseeable – they were foreseen. Now, those who brushed them aside as of no consequence – or denied them altogether – must find a solution. For a long time, British foreign policy has been based upon the twin pillars of our relations with America and the European Union. To have been straddled between these two economic and political giants has served our interests well. But, once we abandon the European Union, we become far more dependent upon only one of those pillars and – for four and possibly eight years – upon a President far less predictable, and less attuned to our free market and socially liberal instincts than his predecessors. Despite the romantic view of committed Atlanticists in the UK, the “special relationship” they cherish is not a union of equals. I wish it were – but it isn’t: America dwarfs the UK in economic and military power. Within the EU we can assert ourselves and lead. But raw power matters. With America, we follow. And – once the UK leaves the EU – our relationship with the United States will change. America needs a close ally inside the EU: once outside, that can no longer be us. At the same time, the EU is focused on a long list of internal problems: Catalonia; Greek debt; immigration; nationalist populism; the future shape of the Union; the intransigency of the Visegrad countries; and, of course – Brexit. It is a full agenda, and leaves too little time and energy for external problems. It is a dispiriting reality for those of us in the Western democracies that – as autocratic China confidently sets out extraordinary long-term ambitions – the democratic nations of the West appear to be navel-gazing at disputes they do not know how to resolve. A decade or so ago, it was easy to argue that the democratic system of the West was irresistibly destined to spread ever more widely. It may yet do so, but there is much less confidence now that it will be admired and copied in countries where, until now, democracy and liberal values have been unknown. Almost wherever one looks, democracy – with its gentle instincts of persuasion and consensus – appears to be in trouble, and often in retreat, while populist nationalism and autocracy is growing. The characteristics of populist nationalism are becoming easy to recognise. Leaders are said to be charismatic – although in my own view that is a much abused description. Populists deliver personal rule, not democratic rule through the institutions of government. They disparage institutions. They promise what cannot be achieved. They dislike bureaucracy, and experts, and independent courts. The media is either their flag-waver or their enemy. Their creed is to imply that they alone understand their nation’s problems, and that they alone can solve them. They are not democrats, and when they claim to represent the view of “the people”, they are only ever representing the people who agree with them. To recognise this is the first protection against it. We must never be complacent about democracy. It is not a given. For all its shortcomings, it must be cherished and protected. When an established democratic system begins to fray – perhaps even fracture – it is time for democratic politicians of all parties to come to its rescue. In America, discontent elected President Trump. In France, the old political establishment was shattered on the left and right and President Macron emerged. Less democratic outcomes have been evident in Austria, in the Czech Republic, in Poland and in Hungary. In Germany, the far right AFD returned 93 members to the Bundestag. And, in the UK – an anti-establishment, anti-immigration, anti-European Party emerged, flourished for a while, and opened the way for the British to vote to leave the EU. None of this means our democratic system is in danger of collapse, but we do need to restore public affection for it. For when the public begins to turn away, believing that “all politicians are the same”; that “no-one understands” their everyday problems; that it doesn’t matter who you vote for because “nothing ever changes”, the warning signs are flashing. To retrieve its reputation, democratic politics must re-ignite growth and optimism and hope. 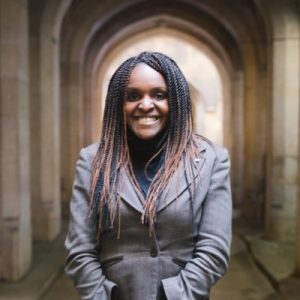 In our own country, it must tackle the obstacles that prevent people from achieving perfectly natural ambitions: to be decently housed, preferably in a home of their own. To have a secure job. To see their children educated well in the state sector. To be able to look forward to reasonable security in retirement. In our country, these are modest ambitions, but for many of our young people they are pipe-dreams. University students leave full-time education with debts they must repay; they cannot afford homes, even while interest rates are rock bottom; and the collapse of company pension schemes means they must contribute more to their own retirement than any previous generation. Collectively, these burdens are a daunting way to start working life. The popularity of any leader, or any system of Government, is inextricably linked to raising the living standards of the nation. For many decades in the UK living standards rose about 20%, but in the last ten years that figure has fallen to under 2% – with many people literally worse off than they were at the time of the financial crash of 2007. This is not just in the UK. It is true, also, of the US and many countries across Europe: it is hardly surprising if there is disillusion: the only surprise is that rebellions against the status quo have been so peaceful. I have always believed that, as far as practicable, people should stand on their own two feet. I am committed to the free market and benevolent capitalism. But that does not mean “anything goes” capitalism. Nor does it mean the State can ignore its obligations to smooth its citizens’ way to a better quality of life. The State cannot – must not – stand aside where the wellbeing of their people is at stake. By this I don’t simply mean the State must offer hand-outs, or subsidies or social benefits: although, for some that will always be necessary. What I do mean is that any Government should worry less about Party ideology; less about placating self-interested lobby groups; less about believing their way is the only way – and worry far more about delivering pragmatic policies that enable people to improve their own lifestyle. I consider myself very fortunate to have been born – and to have lived – in this country. I would not – could not – live contentedly anywhere else. I am as proud of my country as any Briton. But, as we work to secure our nation’s future, we must be realistic about how we are now seen by our friends around the world – and where we stand in the world. We are still a sizeable power but – in a world of 7 billion – we 65 million Britons shouldn’t over-inflate our influence. We are less than 1% of the world’s population. China and India are each around 20%. That already matters – but will matter even more as they continue to grow economically. On some measures, we are still the fifth (or, possibly, sixth) largest economy in the world: and we can be proud of that. But on other measures we are ninth – or lower – with much larger nations snapping at our heels. The world sees that and so must we. And, however you look at it, weakening our ties with Europe and the US can only diminish our influence. To maximise our role, we must use our skills to work with others around the world, and not isolate ourselves within it. On occasions such as this, it is natural to focus on the challenges we face. But a more rounded picture also embraces the many achievements we should celebrate. Such as the innate humanity – or goodness, if you wish – of so many individual people. One of the glories of our country is the number of those who are involved in voluntary work, in charities, in philanthropy – both great and small, both national and within local communities. I look around this room and see friends whose background and activities I know well. I know what they have done in offering their time and their energy and their treasure to others, often unsung but not unnoticed – and I know its effect. We can multiply that in every part of our country and – despite the difficulties and concerns I have spoken of – there is a warmth in that, a national empathy, a basic soundness of purpose that makes me positive about our future. When I last saw Martin he was very ill, in hospital unable to speak or move. Esther was with him, and caring for him, with a devotion that I cannot praise too highly. She cared for him, hoped for him, prayed for him, and cried for him. In all that – even in his final illness – Martin was a lucky man. During that last visit I talked to Martin – of current events, of the world, of what we had done together. Although he was unable to respond, I am sure that he heard my words, and took in all that was said. Even then, in the closing days of his life, his love of yesterday was still married to his curiosity about tomorrow. And when we lost him there was one small consolation: ahead of us all, as always, Martin finally learned about the greatest mystery of all. We miss him – but we’ll never forget him. His books speak to us still – and will continue to do so for generations to come. Martin not only left us his history, but also the legacy of this wonderful Learning Centre. In the hands of Esther, Harry Solomon, Victor Blank and other distinguished Trustees, this promises to be an intellectual landmark in the lives of many people. Martin always believed that – by having a knowledge of the past – the future could be shaped for the better. He would have been proud of this Centre. And he would have been right to be proud. Just as we are right to be proud of – and thankful for – the life and the legacy of our friend, Martin Gilbert. Below is the text of the speech made by Tony Blair, the former Prime Minister, at an EPP Meeting in Wicklow, Ireland on 12 May 2017. There is a consensus, fortunately, within British politics that the consequences of Brexit on the border between the Republic of Ireland and the UK and on the peace process should be minimised as far as possible. Such a consensus will be crucial. Brexit uniquely impacts both the Republic and Northern Ireland. There has never been a situation where the UK, including Northern Ireland, and the Republic of Ireland, had a different status in respect of Europe. We have either both been out or both been in. The Common Travel Area has meant ease of going back and forth across the border, vital for work and family connection has been in place for almost 100 years. And the absence of customs controls – both countries being in the Single Market and Customs Union – have meant a huge boost to UK-Irish trade. Some disruption is inevitable and indeed is already happening. However, it is essential that we do all we possibly can to preserve arrangements which have served both countries well and which command near universal support. A hard border between the countries would be a disaster and I am sure everyone will and must do all they can to avoid it. In addition, the Good Friday or Belfast Agreement was formulated on the assumption that both countries were part of the EU. This was not only for economic but also for political reasons, to take account particularly of nationalist aspirations. Some of the language will therefore require amendment because of Brexit. Again, with goodwill, including from our European partners, this should be achievable with the minimum of difficulty. The truth is that the sentiments and anxieties which gave rise to the Brexit vote are not and never were limited to the Britain. I am delighted that there will be President Macron and not President Le Pen. But the doubling of the far right vote compared to over a decade ago, plus the surge of support for anti-European parties across Europe should make us all think. Back in 2005 I gave a speech to the European Parliament in which I warned specifically that Europe was moving further away from the concerns of its citizens, all the time whilst proclaiming that it was moving closer. This was in the aftermath of the referendums on the Lisbon Treaty in France and the Netherlands. Since then, following the global financial crisis and then the Euro zone crisis, this challenge has only deepened. The world is changing fast through technology and globalisation. This poses an economic challenge. Large scale migration from Africa and the Middle East poses cultural challenges, particularly with the refugee crisis. People see their communities change around them with bewildering speed, they worry about their identity and they’re anxious also over security. Now the reality is that none of these challenges are more easily dealt with by nations alone or by a Europe which is weak. But it is the obligation of mainstream politics – centre left and centre right – to provide answers otherwise those on the far right and left will successfully ride the anger. During the course of the Brexit negotiation Britain will be evaluating its future relationship with Europe; Europe has an opportunity to evaluate its own future. The European Commission White paper is a necessary start. I remain totally convinced that nations such as ours, coming together as we have done in the European Union, goes with the grain of history. As the new power brokers of the world emerge in the high population countries, particularly China and India, all those comparatively smaller in size will need to form alliances to protect not only interests but values. But we need to show that necessary integration does not come at the expense of desired identity, that Europe can deal firmly and expeditiously with the challenges upon it, and that it is both sensitive enough to understand the concerns, cultural and economic, that our people feel so strongly, and capable enough to overcome them. An open and honest debate about how Europe reforms can play a positive part in how Britain and Europe approach Brexit. Whatever relationship the future holds for us both – as you know I was and remain a passionate supporter of Britain staying with our European destiny – we have too many mutual interests, too much shared history, too profound a sense of common values for us to do other than strive for success for that relationship. So let us keep lines of communication intact. Let us explore together the options as we go forward. Let us – where possible – always choose flexibility over rigidity and solutions which are about the long term flourishing of the people not the short term exploitation of the politics. We are only at the beginning. There is a long way to go to, particularly for the negotiations. Below is the text of the speech made by Tony Blair, the former Prime Minister, at the Shimon Peres memorial service at Mount Herzl, Jerusalem on 17 September 2017. We miss him don’t we? I know I do. I miss the sense of anticipation before each meeting; the insights; the wit; the brilliant one liners, even the ones I heard before; the crazy genius of being able to speak English better than the English when it wasn’t even his second language; and of course most of all the wisdom, the supreme ability to take the most complex developments – economic, political, technical – and translate them into words we could understand and visions we could aspire to. Because Shimon was such a magnetic personality it is easy to forget that his principal quality was not his way with words but with deeds. He was a man of action, whose wellspring was nonetheless a deep and coherent philosophy. The description in his autobiography of his interaction with the French Government to secure the know-how for nuclear power, or the account of the raid on Entebbe, read like passages from a thriller. But through each line, we are aware that nothing he did was without purpose. He was determined to defend his fragile young country against the hostility of a region all too willing to find an external enemy to divert attention from internal challenge. But for him that was but one step towards the ultimate goal of an Israel secure and at peace with its neighbours in a region of tolerance and justice. His patriotism did not require an enemy; it did not need to conquer. It was not born of a sense of superiority but a sense of hope. For Shimon, the State of Israel was never simply a nation, and was more than just the homeland of the Jewish people; it represented an ideal. The country he wanted to create was to be a gift to the world. It drew upon the best of the Jewish character developed over the ages, sustained through pogroms, persecution and holocaust, often battered but never subdued. This spirit is the spirit of striving: to make oneself better, to make the world better, to increase the sum of knowledge and understanding; to examine the variegated flotsam of human existence and the contradictions of the human condition and see not a cause for despair but a path to progress. This was what animated Shimon Peres. He never gave up on peace with the Palestinians or on his belief that peace was best secured by an independent State of Palestine alongside a recognised State of Israel. One of our last conversations was on how to change the plight of the people of Gaza. Despite all the frustrations of the peace process, in his last years he could see the Middle East changing and the possibility opening up in the region, with its new leadership, of a future partnership between Arab nations and Israel. He grasped completely the extraordinary potential there would be if Israel and the region were working together not simply on security but on economic advance, technological breakthrough and cultural reconciliation. His Annual President’s conference brought together figures from round the world to discuss not the past or the present but Tomorrow. This was a man who was born when horse drawn carriages were still in use and lived to see a driverless car. He was fascinated by the future, loved science, delighted in innovation and was younger in mind at 90 than most people at 30. I once tried to define Shimon in three words. I chose Compassionate, Courageous, and Creative. But I spent a long while asking which virtue came first. I settled on his compassion. I know he took difficult decisions as all in positions of leadership do. Some of them had painful consequences. But in the final analysis, Shimon Peres wanted to do good, strived to do it and by and large did it, motivated by a profound compassion for humanity. At the core of that compassion, was a belief in the equality of all human beings across the frontiers of race, nation, colour or creed. He would defend Israel to his dying breath. But he was a citizen of the world also and proud to be one. For him, every new possibility technology or science gave us was not to be harnessed for the profit of a few but for the welfare of the many. For him the world growing smaller was not a harbinger of fear but an achievement. For him if Israel did well, it was a chance for the world to do better. The memories of great people who help shape history, like Shimon, do not fade but clarify over time. We see what they stood for when they were alive and what they mean for us who live on today. In his best moments, Shimon embodied the success and hope of a nation and in doing so, touched and educated the wider world. So yes I miss him. And I thank him and his wonderful family – Tsvia, Yoni and Chemi – and his fabulous colleagues Yona, Nadav, Efrat and Ayelet and all the team – for the magnificent support they gave him. But I won’t forget him. For me and for so many others here and round the world, he is and always will be a thought in our minds and an inspiration in our hearts. 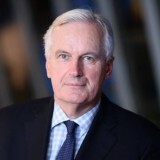 Below is the text of the speech made by Michel Barnier, the European Chief Negotiator on Brexit, in Strasbourg, France on 17 December 2017. Thanks to Frans, and to you too, for allowing me to speak at the beginning of your plenary session on the extraordinary negotiation with the United Kingdom and on the first result we reached last Friday. This is an important step – and there will be many steps to take – but this agreement is important because, with the joint, detailed report – 96 paragraphs, 15 pages – we are first dealing with the difficult subjects of the separation that the United Kingdom wanted. And if the European Council so wishes, taking into account your own resolution, this first step will allow us to move forward with the negotiations in a calmer manner. We emphasise also the stability of our continent in a world which is, as we all know, uncertain. Our Union should be able to find rational solutions with the United Kingdom and should therefore, at the same time, be able to concentrate its energy on the initiatives and challenges which we face together, as Frans Timmermans has mentioned, on behalf of the European Commission. And we also send a message of confidence to a lot of people, a lot of stakeholders, and a lot of citizens who are worried, even distressed, following the UK’s decision to leave the European Union. In this negotiation, our state of mind has never been to make mutual concessions. This is not about making concessions on citizens’ rights. This is not about making concessions on the peace process or stability on the island of Ireland. Nor is it about making concessions on the thousands of investment projects which are financed by EU policy and the EU budget. I know that this point has always been shared by the Parliament and the Council. We owe a lot – I must admit – to the permanent cooperation we have with the Council, and the Member States for the agreement reached on Friday. We owe a lot, Members of Parliament, to your permanent and rigorous support. And I would like to thank you, President Tajani, and to sincerely thank your coordinator, Guy Verhofstadt, the members of the Brexit Steering Group, Elmar Brok, Roberto Gualtieri, Danuta Huebner, Gabriele Zimmer and Philippe Lamberts, the presidents of the political groups and also the committee chairs. Before turning to the main points of our agreement, I want to recall that the objective that you and the European Council gave me last April was to obtain sufficient progress, on an objective basis. That does not mean 100% progress, but real sufficient progress, precise sufficient progress, which commits and forms a solid basis for the next stage in the negotiations. And this was the positive assessment that the Commission and President Juncker gave to the Joint Report. The political commitments made at the highest level on Friday – and which we translated precisely in the Joint Report – appear to me, in my full responsibility, to fulfil these conditions. o To secure the peace process on the island of Ireland and the conditions of North-South cooperation. We will never accept any backtracking on this Joint Report. This progress has now been recorded. It will have to be quickly converted into a legally binding Withdrawal Agreement on each of our three subjects, as well as on other issues which remain to be negotiated or clarified. This is one of the conditions for the continuation of the negotiations. At the beginning of this plenary debate, I want to focus principally on the subject that has been our common priority since day one: citizens’ rights. 4.5 million European citizens, whom you represent, decided to live on either side of the Channel, on the basis of EU law on the free movement of people. Our Joint Report preserves their rights. It guarantees that European citizens in the UK and UK citizens in the EU before the date of the UK’s withdrawal will be able to continue living as they do today, with the same guarantees of non-discrimination on the basis of nationality – for their entire life. This means, for example, that an EU citizen or a UK citizen who decided to live on the other side of the Channel can continue residing there after Brexit. This right of residence will be even wider than it is today. If a citizen decides to leave his/her host country, he/she can be absent for a period of 5 years, rather than only 2 years, as is the rule today. A British student in one of the EU Member States will not be affected by Brexit: she will be able to continue studying and paying the same tuition fees as the citizens in the host state. She can even work there after her studies. That goes the same for European students in the UK. Nurses or doctors working before Brexit can continue to work in their host countries. Their professional qualifications will continue to be recognised, just like in other professions. Family members will maintain their reunification rights in the future after Brexit, in the UK or in the EU. All children will be protected, even those who will be born after Brexit. Citizens will maintain their rights to healthcare, pensions and other social security benefits, even if they leave their host country to live in another EU country. The same goes for the portability of family allowances, which was debated right up until the last moment. o There will be no ambiguity in the interpretation of the rights on either side of the Channel: current ECJ case law will be part of the Withdrawal Agreement, and future case law will apply. British courts will have to take “due regard” of case law for the lifetimes of the citizens concerned. o And finally, the British authorities will create an independent authority to which European citizens can have recourse in the United Kingdom, in the same way as British citizens in the EU can have recourse to the European Commission. The details of this independent authority will be included in the Withdrawal Agreement. For all the European citizens – 3.5 million people – living and working in the United Kingdom, there is another problem – the UK’s registration procedures. It seems to me – and I know how sensitive you are on this point – that the administrative procedure will be practical and necessary to allow citizens to effectively exercise their rights. But we have ensured that, as outlined in the Joint Report, the conditions for the administrative procedures will be included in the Withdrawal Agreement with the necessary guarantees. These registration and administrative processes will be for those citizens living in a country that will become a third country on 29 March 2019 at midnight. We have outlined in the Joint Report that the procedure that the United Kingdom will put in place must be simple to use, based on objective criteria and accompanied with the same procedural guarantees today, notably with regards to a right of appeal. European citizens who are already permanently resident in the United Kingdom will obtain “special status” for free. For the rest, the cost should not exceed that imposed on British citizens for the issuing of similar documents – around £70. We are not there yet, neither on citizens’ rights, nor on the other subjects of the orderly withdrawal. We will therefore remain vigilant. Theresa May made a commitment on behalf of the British government, the whole British government. It is now for us to decide if this result is sufficient to open – based on certain conditions – the second phase of negotiations. If your resolution is positive, and if the European Council on Friday also accepts that there has been sufficient progress, then I will begin – on your behalf – working on the formal drafting of the Withdrawal Agreement. And we can do this quite quickly, on the basis of the Joint Report in particular. o Ireland will form part of its own specific strand in the negotiations. Each assuming their responsibility, we need to find specific solutions for the unique situation of the island of Ireland. On the basis of the decision of the European Council, we will also move forward on defining a transition period, which will be short and supervised during which we will maintain the full regulatory and supervisory architecture – and obviously the role of the Court of Justice – as well as European policies. Finally, we will pursue, if you so wish, our internal preparation at 27 – together with you – on the future relationship. We need to agree ourselves on the framework for the future relationship. 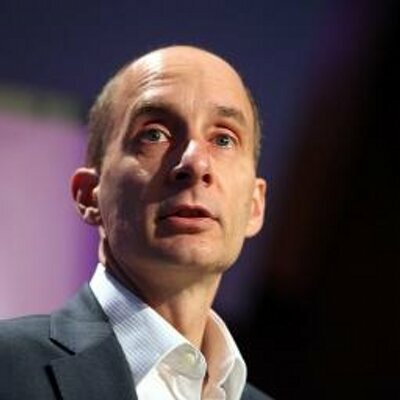 I can already tell you – and I say so clearly and calmly – that there are non-negotiable points on the integrity of Single Market, the four indivisible freedoms which are the foundation of the Single Market, and the autonomy of the Union’s decision-making, which the UK has decided to leave. The United Kingdom will become a third country on 29 March 2019. We think that a close, future partnership remains our common horizon. We know where we are today; we know where we are going. I propose today that this important step is recognised. There are many more steps to make in order for the UK to leave in an orderly manner, which is much better than in a disorderly manner. I would like to thank you, Mr. President, ladies and gentlemen, for the future also, for your support and confidence, and also for your vigilance as the negotiations continue. 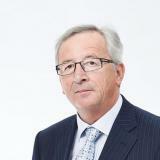 Below is the text of the speech made by Jean-Claude Juncker, the President of the European Commission, on 13 September 2017 in Brussels, Belgium. I proposed a positive agenda to help create – as I said last year – a Europe that protects, a Europe that empowers, a Europe that defends. Over the past twelve months, the European Parliament has helped bring this agenda to life. We continue to make progress with each passing day. Just last night you worked to find an agreement on trade defence instruments and on doubling our European investment capacity. And you succeeded. Thank you for that. We are now in the fifth year of an economic recovery that really reaches every single Member State. Growth in the European Union has outstripped that of the United States over the last two years. It now stands above 2% for the Union as a whole and at 2.2% for the monetary area. Unemployment is at a nine year low. Almost 8 million jobs have been created during this mandate so far. With 235 million people at work, more people are in employment in the European Union than ever before. We can take credit for our European Investment Plan which has triggered €225 billion worth of investment so far. It has granted loans to 450,000 small firms and more than 270 infrastructure projects. Our 27 leaders, the Parliament and the Commission are putting the Europe back in our Union. And together we are putting the Union back in our Union. First, we should stay the course set out last year. We still have 16 months in which real progress can be made by Parliament, Council and Commission. We must use this time to finish what we started in Bratislava and deliver on our own positive agenda. Secondly, we should chart the direction for the future. As Mark Twain wrote – I am quoting – years from now we will be more disappointed by the things we did not do, than by those we did. Now is the time to build a more united, a stronger, a more democratic Europe for 2025. This morning, I sent a Letter of Intent to the President of the European Parliament and to the Prime Minister of Estonia – whose strong work for Europe I would like to praise – outlining the priorities for the year ahead. I will not and I cannot list all these proposals here, but let me mention five which are particularly important. With the help of this Parliament, we have just secured a trade agreement with Canada that will provisionally apply as of next week. We have a political agreement with Japan on a future economic partnership. And by the end of the year, we have a good chance of doing the same with Mexico and South American countries. Today, we are proposing to open trade negotiations with Australia and New Zealand. I want all of these agreements to be finalised by the end of this mandate. And I want them negotiated in the greatest transparency. Secondly, the Commission wants to make our industry stronger and more competitive. Honourable Members, the new Industrial Policy Strategy we are presenting today will help our industries stay, or become, the number one in innovation, digitisation and decarbonisation. Last year, we set the global rules of the game with the Paris Agreement ratified here, in this very House. Set against the collapse of ambition in the United States, Europe must ensure we make our planet great again. It is the shared heritage of all of humanity. Fourth priority for the year ahead: I want us to better protect Europeans in the digital age. Over the past years, we have made marked progress in keeping Europeans safe online. New rules, put forward by the Commission, will protect our intellectual property, our cultural diversity and our personal data. We have stepped up the fight against terrorist propaganda and radicalisation online. But Europe is still not well equipped when it comes to cyber-attacks. Fifth: migration must stay on our radar. In doing so, we have drastically reduced the loss of life in the Mediterranean. I cannot talk about migration without paying strong tribute to Italy for their tireless and noble work. Over the summer months, the Commission worked in perfect harmony with the Prime Minister of Italy, my friend Paolo Gentiloni, and his government to improve the situation. We did so – and we will continue to do so – because Italy is saving Europe’s honour in the Mediterranean. We must also urgently improve migrants’ living conditions in Libya. I am appalled by the inhumane conditions in detention or reception centres. Europe has a responsibility – a collective responsibility – and the Commission will work in concert with the United Nations to put an end to this scandalous situation that cannot be made to last. I am particularly proud of the young Europeans volunteering to give language courses to Syrian refugees or the thousands more young people who are serving in our new European Solidarity Corps. These young people are bringing life and colour to European solidarity. But we now need to redouble our efforts. At the end of the month, the Commission will present a new set of proposals with an emphasis on returns, solidarity with Africa and opening legal pathways. When it comes to returns, I would like to repeat that people who have no right to stay in Europe must be returned to their countries of origin. When only 36% of irregular migrants are returned, it is clear we need to significantly step up our work. This is the only way Europe will be able to show solidarity with refugees in real need of protection. Solidarity cannot be an exclusively intra-European affair. We must also show solidarity with Africa. Africa is a noble continent, a young continent, the cradle of humanity. Our €2.7 billion EU-Africa Trust Fund is creating employment opportunities across the continent. The EU budget fronted the bulk of the money, but all our Member States combined have still only contributed €150 million. The Fund is currently reaching its limits. We know – or we should know – the dangers of a lack of funding – in 2015 many migrants headed towards Europe when the UN’s World Food Programme ran out of funds. I call on all Member States to now match their actions with their words and ensure the Africa Trust Fund does not meet the same fate. The risk is high. We will also work on opening up legal pathways. Irregular migration will only stop if there is a real alternative to perilous journeys. We are close to having resettled 22,000 refugees from Turkey, Jordan and Lebanon and I support UN High Commissioner for Refugees’ call to resettle a further 40,000 refugees from Libya and the surrounding countries. At the same time, legal migration is an absolute necessity for Europe as an ageing continent. This is why the Commission made proposals to make it easier for skilled migrants to reach Europe with a Blue Card. I would like to thank the Parliament for its support on this. I have mentioned just a few of the initiatives we want and must deliver over the next 16 months. But this alone will not be enough to regain the hearts and minds of Europeans. In March, the Commission presented our White Paper on the future of Europe, with five scenarios for what Europe could look like by 2025. These scenarios have been discussed, sometimes superficially, sometimes violently. They have been scrutinised and partly ripped apart. That is good – they were conceived for exactly this purpose. I wanted to launch a process in which Europeans determined their own path and their own future. The future of Europe cannot be decided by decree. It has to be the result of democratic debate and, ultimately, broad consensus. This House contributed actively, through the three ambitious resolutions on Europe’s future which I would like to particularly thank the rapporteurs for. And I want to thank all the colleagues that participated in the more than 2,000 public events across Europe that the Commission organised since March. Today I would like to present you my view: my own ‘sixth scenario’, if you will. This scenario is rooted in decades of first-hand experience. I have lived, fought and worked for the European project my entire life. I have seen and lived through good times and bad. I have always fought for Europe. At times I have suffered because of Europe. And even despaired for Europe. But there is, as we know, rarely love without pain. Love for Europe because Europe and the European Union have achieved something unique in this fraying world: peace within and peace outside of Europe. Prosperity for many if not yet for all. For me, Europe is more than just a single market. More than money, more than a currency, more than the euro. It was always about values. That is why, in my sixth scenario, there are three fundamentals, three unshakeable principles: freedom, equality and the rule of law. Europe is first of all a Union of freedom. Freedom from the kind of oppression and dictatorship our continent knows all too well – sadly none more than central and Eastern European countries. Freedom to voice your opinion, as a citizen and as a journalist – a freedom we too often take for granted. It was on these freedoms that our Union was built. But freedom does not fall from the sky. It must be fought for. In Europe and throughout the world. Second, Europe must be a Union of equality and a Union of equals. Equality between its Members, big or small, East or West, North or South. In a Union of equals, there can be no second class citizens. It is unacceptable that in 2017 there are still children dying of diseases that should long have been eradicated in Europe. Children in Romania or Italy must have the same access to measles vaccines as children in other European countries. No ifs, no buts. This is why we are working with all Member States to support national vaccination efforts. Avoidable deaths must not occur in Europe. In a Union of equals, there can be no second class workers. Workers should earn the same pay for the same work in the same place. This is why the Commission proposed new rules on posting of workers. We should make sure that all EU rules on labour mobility are enforced in a fair, simple and effective way by a new European inspection and enforcement body. It is absurd to have a Banking Authority to police banking standards, but no common Labour Authority for ensuring fairness in our single market. We will create such an Authority. In a Union of equals, there can be no second class consumers either. I cannot accept that in some parts of Europe, in Central and Eastern Europe,people are sold food of lower quality than in other countries, despite the packaging and branding being identical. Slovaks do not deserve less fish in their fish fingers. Hungarians less meat in their meals. Czechs less cacao in their chocolate. EU law outlaws such practices already. And we must now equip national authorities with stronger powers to cut out these illegal practices wherever they exist. Accepting and respecting a final judgement is what it means to be part of a Union based on the rule of law. Our Member States gave final jurisdiction to the European Court of Justice. The judgements of the Court have to be respected by all. To undermine them, or to undermine the independence of national courts, is to strip citizens of their fundamental rights. Our Union is not a State but it must be a community of law. These three principles – freedom, equality and the rule of law – must remain the foundations on which we build a more united, stronger and more democratic Union. When we talk about the future, experience tells me new Treaties and new institutions are not the answer people are looking for. They are merely a means to an end, nothing more, nothing less. They might mean something to us here in Strasbourg or in Brussels. They do not mean a lot to anyone else. I am only interested in institutional reforms if they lead to more efficiency in our European Union. Democracy is about compromise. And the right compromise makes winners out of everyone in the long run. A more united Union should see compromise, not as something negative, but as the art of bridging differences. Democracy cannot function without compromise. Europe cannot function without compromise. If we want to protect our external borders and rightly so strengthen them even more, then we need to open the Schengen area of free movement to Bulgaria and Romania immediately. We should also allow Croatia to become a full Schengen member once all the criteria are met. If we want the euro to unite rather than divide our continent, then it should be more than the currency of a select group of countries. The euro is meant to be the single currency of the European Union as a whole. All but two of our Member States are required and entitled to join the euro once they fulfil the conditions. If we want banks to operate under the same rules and under the same supervision across our continent, then we should encourage all Member States to join the Banking Union. We need to reduce the remaining risks in the banking systems of some of our Member States. Banking Union can only function if risk-reduction and risk-sharing go hand in hand. As everyone well knows, this can only be achieved if the conditions, as proposed by the Commission in November 2015, are met. There can only be a common deposit insurance scheme once everyone will have done their national homework. And if we want to avoid social fragmentation and social dumping in Europe, then Member States should agree on the European Pillar of Social Rights as soon as possible and at the latest at the Gothenburg summit in November. National social systems will still remain diverse and separate for a long time. But at the very least, we should agree on a European Social Standards Union in which we have a common understanding of what is socially fair in our single market. I remain convinced: Europe cannot work if it shuns workers. Ladies and Gentlemen, if we want more stability in our neighbourhood, then we must also maintain a credible enlargement perspective for the Western Balkans. It is clear that there will be no further enlargement during the mandate of this Commission and this Parliament. No candidate is ready. But thereafter the European Union will be greater than 27 in number. Accession candidates must give the rule of law, justice and fundamental rights utmost priority in the negotiations. The call I make to those in power in Turkey is this: Let our journalists go. And not only ours. Stop insulting our Member States by comparing their leaders to fascists and Nazis. Europe is a continent of mature democracies. But deliberate insults create roadblocks. Sometimes I get the feeling Turkey is deliberately placing these roadblocks so that it can blame Europe for any breakdown in accession talks. As for us, we will always keep our hands stretched out towards the great Turkish people and all those who are ready to work with us on the basis of our values. I want our Union to be stronger and for this we need a stronger single market. When it comes to important single market questions, I want decisions in the Council to be taken more often and more easily by qualified majority – with the equal involvement of the European Parliament. We do not need to change the Treaties for this. There are so-called “passerelle clauses” in the current Treaties which allow us to move from unanimity to qualified majority voting in certain cases – provided the European Council decides unanimously to do so. I am also strongly in favour of moving to qualified majority voting for decisions on the common consolidated corporate tax base, on VAT, on fair taxes for the digital industry and on the financial transaction tax. Europe has to be able to act quicker and more decisively, and this also applies to the Economic and Monetary Union. The euro area is more resilient now than in years past. We now have the European Stabilisation Mechanism (ESM). I believe the ESM should now progressively graduate into a European Monetary Fund which, however, must be firmly anchored in the European Union’s rules and competences. The Commission will make concrete proposals for this in December. We need a European Minister of Economy and Finance: a European Minister that promotes and supports structural reforms in our Member States. He or she can build on the work the Commission has been doing since 2015 with our Structural Reform Support Service. The new Minister should coordinate all EU financial instruments that can be deployed if a Member State is in a recession or hit by a fundamental crisis. The Parliament of the euro area is this European Parliament. This is why I call for setting up a European intelligence unit that ensures data concerning terrorists and foreign fighters are automatically shared among intelligence services and with the police. I want our Union to become a stronger global actor. In order to have more weight in the world, we must be able to take foreign policy decisions quicker. This is why I want Member States to look at which foreign policy decisions could be moved from unanimity to qualified majority voting. The Treaty already provides for this, if all Member States agree to do it. We need qualified majority decisions in foreign policy if we are to work efficiently. This is why this Commission has sought to be big on big issues and small on the small ones and has done so, putting forward less than 25 new initiatives a year where previous Commissions proposed well over 100. To finish the work we started, I am setting up a Subsidiarity and Proportionality Task Force as of this month to take a very critical look at all policy areas to make sure we are only acting where the EU adds value. The First Vice-President, my friend, Frans Timmermans, who has a proven track record on better regulation, will head this Task Force. The Timmermans Task Force should include Members of this Parliament as well as Members of national Parliaments. It should report back in a years’ time. I would like to see European political parties start campaigning for the next European elections much earlier than in the past. Too often Europe-wide elections have been reduced to nothing more than the sum of national campaigns. European democracy deserves better. I also have sympathy for the idea of having transnational lists in European elections – though I am aware this is an idea more than a few of you disagree with. I will seek to convince the President of my parliamentary Group to follow me in this ambition which will bring Europe democracy and clarity. I also believe that, over the months to come, we should involve national Parliaments and civil society at national, regional and local level more in the work on the future of Europe. Over the last three years, as we promised, Members of the Commission have visited national Parliaments more than 650 times. They also debated in more than 300 interactive Citizens’ Dialogues in more than 80 cities and towns across 27 Member States. This is why I support President Macron’s idea of organising democratic conventions across Europe in 2018. As the debate gathers pace, I will personally pay particular attention to Estonia, to Latvia, to Lithuania and to Romania in 2018. This is the year they will celebrate their 100th anniversary. Those who want to shape the future of our continent should well understand and honour our common history. This includes these four countries – the European Union would not be whole without them. The need to strengthen democracy and transparency also has implications for the European Commission. Today, I am sending the European Parliament a new Code of Conduct for Commissioners. The new Code first of all makes clear that Commissioners can be candidates in European Parliament elections under the same conditions as everyone else. The new Code will of course strengthen the integrity requirements for Commissioners both during and after their mandate. If you want to strengthen European democracy, then you cannot reverse the small democratic progress seen with the creation of lead candidates – ‘Spitzenkandidaten’. I would like the experience to be repeated. More democracy means more efficiency. Europe would function better if we were to merge the Presidents of the European Council and the European Commission. This is nothing against my good friend Donald, with whom I have worked intimately and seamlessly together since the beginning of my mandate. This is nothing against Donald or against me. Having a single President would simply better reflect the true nature of our European Union as both a Union of States and a Union of citizens. The vision of a more united, stronger and more democratic Europe I am outlining today combines elements from all of the scenarios I set out to you in March. But our future cannot remain a simple scenario, a sketch, an idea amongst others. An important element will be the budgetary plans the Commission will present in May 2018. Here again we have a choice: either we pursue the European Union’s ambitions in the strict framework of the existing budget, or we increase the European Union’s budgetary capacity so that it might better reach its ambitions. I am for the second option. On 29 March 2019, the United Kingdom will leave the European Union. This will be both a sad and tragic moment. We will always regret it. But we have to respect the will of the British people. We will advance, we must advance because Brexit is not everything. Because Brexit is not the future of Europe. This is why I call on President Tusk and Romania, the country holding the Presidency in the first half of 2019, to organise a Special Summit in Romania on 30 March 2019. My wish is that this summit be held in the beautiful city of Sibiu, also known as Hermannstadt. This should be the moment we come together to take the decisions needed for a more united, stronger and democratic Europe. My hope is that on 30 March 2019, Europeans will wake up to a Union where we stand by all our values. Where all Member States respect the rule of law without exception. Where being a full member of the euro area, the Banking Union and the Schengen area has become the norm for all. Where we have shored up the foundations of our Economic and Monetary Union so that we can defend our single currency in good times and bad, without having to call on external help. Where our single market will be fairer towards workers from the East and from the West. I want Europeans to wake up to a Europe where we have managed to agree on a strong pillar of social standards. Where profits will be taxed where they were made. Where terrorists have no loopholes to exploit. Where we have agreed on a proper European Defence Union. Where eventually a single President leads the work of the Commission and the European Council, having been elected after a democratic Europe-wide election campaign. Mr President, if our citizens wake up to this Union on 30 March 2019, then the European Union will be a Union able to meet their legitimate expectations. Europe was not made to stand still. It must never do so. Helmut Kohl and Jacques Delors, whom I had the honour to know, taught me that Europe only moves forward when it is bold. The single market, Schengen and the single currency: these were all ideas that were written off as pipe dreams before they happened. And yet these three ambitious projects are now a part of our daily reality. Now that Europe is doing better, people tell me I should not rock the boat. But now is not the time to err on the side of caution. We started to fix the European roof. But today and tomorrow we must patiently, floor by floor, moment by moment, inspiration by inspiration, continue to add new floors to the European House. We must complete the European House now that the sun is shining and whilst it still is. Because when the next clouds appear on the horizon – and they will appear one day – it will be too late. So let’s throw off the bowlines. Sail away from the harbour. And catch the trade winds in our sails. Below is the text of the speech made by Fabian Hamilton, the Labour MP for Leeds North East, in the House of Commons on 21 December 2017. This debate is the last parliamentary business before the recess and, indeed, the last business of the year, but it nevertheless deals with an issue that is of great seriousness and grave concern to my constituents and to many others, given the number of people who have been injured or killed when cycling on our roads. On 12 December last year, 58-year-old Ian Winterburn was cycling to work at 7.30 am, as he did every day. Ian was a keen and regular cyclist. As usual, he was wearing his cyclist’s high-visibility jacket, and all his bike lights were on. He always wore a cycling helmet. As he was passing the junction of Whitkirk Lane on the A6120 ring road in Halton, Leeds, a silver Skoda Fabia was signalling to turn right, but instead of waiting for Ian to cycle past, the driver went straight into him, knocking him off his bike and fatally injuring him. She claimed that she had not seen him. After 10 days in a coma, Ian died from his injuries on 22 December. Cyclist Charlie Alliston was famously sentenced to 18 months in prison recently for fatally injuring pedestrian Mrs Briggs in one of two such fatal accidents last year, yet any more cyclists have been killed or badly injured by cars during the same period. Alliston’s case justifiably received plenty of media coverage, but shocking deaths such as that of Ian Winterburn scarcely receive any, and public anger towards cyclists is now at an all-time high. The 51-year-old driver of the Skoda that killed Ian was sentenced on 20 October by Leeds magistrates court for causing death by careless driving. I shall deal with the issue of careless versus dangerous driving and the different penalties involved. Indeed, I shall refer to the all-party parliamentary group that my hon. Friend so ably chairs, and of which I am currently the treasurer. The driver of the Skoda was given a four-month prison sentence suspended for two years, a £200 fine, 200 hours of community service and a two-year driving ban. Her licence had been suspended previously for 14 months for drink-driving. One of the most shocking aspects of this tragic case—apart from the loss of a much-loved husband, father and teacher—is the way that the family have been treated by the various authorities involved in dealing with the terrible and totally avoidable loss of such a valuable life. Ian Winterburn was hit at 7.30 am that day, but the West Yorkshire police crash investigation team did not arrive at the scene for more than an hour. The police and the Crown Prosecution Service believed that the driver did not adequately defrost her car windscreen before setting off from her home nearby. There was ​circumstantial evidence to support that, as her windscreen wipers and car heating were on full power although it was a dry day. However, because the crash investigation team took so long to arrive, they could not confirm the state of the windscreen at the time of the accident. Of course, had they arrived sooner, there could have been proof that the windscreen was not properly de-iced. The driver would then have faced a charge of causing death by dangerous driving, which carries a considerably higher sentence on conviction than the lesser charge of death by careless driving. There is only one crash team for the whole of West Yorkshire, an area with a population of 2.3 million. The family have asked a number of pertinent questions about that issue alone. They asked, for example, why there was only one crash team for such a large area, how many people were in that team, how many crash investigations they investigated each week and where the team was based. It took more than three hours for the police to contact Mrs Winterburn that day to inform her about the collision. When she asked why it had taken so long, the answer was that the crash team was too busy securing the crash site and collecting evidence, which was its main priority, and that there were not enough staff to contact Mrs Winterburn earlier. As Members may imagine, this was extremely traumatic for Mrs Winterburn and her family and greatly added to the trauma they experienced upon hearing such terrible news. But it gets worse. When the family arrived at the hospital, they spent a number of hours in the resuscitation unit, where no staff were available to keep them updated. Ian Winterburn was still wearing his cycling clothes, and it was to be another 16 hours before any member of staff gave the family information about the extent of Ian’s injuries, the prognosis or, indeed, the next steps in his treatment. Let me move on now to the role of the coroner service. Although Ian died on 22 December, just one year ago tomorrow, it took until 10 January to obtain a death certificate. That was apparently because of a backlog over the Christmas and new year holidays, but it meant that Ian’s body had to be kept at the Leeds General Infirmary mortuary for two weeks before a funeral could take place. As Members may imagine, this added considerably to the stress and trauma suffered by the family. Presumably, people still die from unknown causes or accidents over holiday periods, and although everyone deserves holidays and time off, especially public servants, surely it is important that the coroner service does not close, except perhaps on Christmas day itself. The Crown Prosecution Service told the family that the case against the driver who killed Ian was so serious that it would be heard in the Crown court and that they should not even attend the magistrates court hearing, which would be merely a formality and would only last for a few minutes. However, in the event, the driver was convicted, after two one-hour sessions, by the magistrates court, and no support whatsoever was given to the family. After the shock of the brief court case and what the family feels is the inadequate sentence for a driver who had previously been given a 14-month driving ban after a conviction for drink-driving, the family was told by the police that the coroner would now close the inquest because there had been a criminal conviction. A short while later, the coroner phoned Georgina, Ian’s widow, to tell her that there would still be an inquest and that a number of witnesses would attend it. As we can imagine, this came as a huge shock to the family, and Alex, Ian’s daughter, rang West Yorkshire Victim Support to ask what the family should expect from the hearing, only to be told that it knew nothing about the hearing. The next day the coroner’s office rang Georgina to tell her that there had been a “mix-up” and that there would not be an inquest after all. No apology has ever been offered for the further upset caused to the family by this so-called “mix-up”. Many Members will know that I am a keen cyclist, because I pester them every summer to donate to my annual charity bike ride, and I can often be seen arriving at the Palace of Westminster in my hideous, brightly coloured lycra on my carbon racing bike; indeed you, Mr Speaker, have generously seen me off on some of my cycling jaunts. I am also an officer of the all-party group on cycling, which last July published a report into cycling and the justice system. We took a huge amount of evidence from cycling groups, lawyers, the police, the CPS, Transport for London, local authorities and many others. Among our conclusions were the following recommendations. The police must ensure that a higher standard of investigation is maintained in all cases where serious injury has resulted. That includes eyesight testing, mobile phone records and assessments of speed, drink and drug driving. We received many examples of the police failing to investigate properly, or even to interview witnesses or victims. Too often, weak investigations have undermined subsequent cases. I hope that the Minister will want to comment on this. We also recommended that all police forces should ensure that evidence of common offences submitted by cyclists or other witnesses using bike-mounted or person-mounted cameras or smart phones should be put to use and not ignored. Too often, these bits of evidence are ignored. The confidence of cyclists that their safety is a priority for the police will be undermined if such evidence is dismissed and no action is taken. In some cases, just a written warning could be enough to change bad behaviour. The length of time required by the police to serve a notice of intended prosecution for a road traffic offence is currently just 14 days, and that must be extended. That was one of our strong recommendations. We believe that that period is too short to enable cases to be adequately processed. In some cases, it could enable offenders to escape justice altogether. We also said that there was confusion and overlap between careless and dangerous driving, a point echoed by my hon. Friend the Member for Brentford and ​Isleworth (Ruth Cadbury), so bad driving often does not receive the level of punishment that the public feel it should. New offences introduced over the past few years have started to plug some of the gaps in the legislation, but many problems remain, particularly when cyclists are the victims. We believe that the Ministry of Justice should examine in more detail how these offences are being used, including the penalties available for offences of careless and dangerous driving. The police and the CPS should ensure that victims and bereaved families are always kept adequately informed throughout the process of deciding charges. This is done in many cases, but we have heard of victims being ignored and informed only at a much later date that cases have been dropped or that guilty pleas for lesser offences have been accepted. I am a member of the Justice Committee, and one of the issues that we have heard about—which applies not only to cases such as this one—is that the cutbacks in the Courts Service and the Ministry of Justice mean that there are fewer people to carry out these important administrative tasks. In too many cases, administrative failures mean that justice is not being served, either for the victims or for their families, because there are not enough people to make the kind of contact that is, as my hon. Friend says, so important at times like these. Again, I thank my hon. Friend for her helpful intervention. I think that the first part of my speech clearly showed that the family of Ian Winterburn are just such a family. They had appallingly bad service from the CPS; they were not kept informed at all. They were given no assistance; there was no family support whatever. I do not know whether that was the result of cutbacks or of bad organisation and training. I think my hon. Friend probably knows more than I do about that, because she is a member of the Justice Committee, but I will leave it to the Minister to respond to that point. The final recommendation in our report involves the fact that the number and length of driving bans appears to have declined, with a 62% fall in driver disqualifications over the past 10 years. That is double the fall in convictions for driving offences. Furthermore, very large numbers of drivers are escaping disqualification on reaching 12 points or more on their licence. The Ministry of Justice should examine the reasons behind the decline in the use of the penalty of disqualification and in particular the effect of the so-called exceptional hardship scheme. I know that our report, which was published seven months after Ian Winterburn was killed, will ring many bells in the minds of his family, who still grieve for him every day. The family would like answers to a number of more specific questions, notwithstanding the recommendations I have just read out, so will the Minister answer the following questions? What is the current status of the review of guidelines for causing death by careless driving? Is a review even being carried out? Why do drivers who have caused death not face mandatory custodial sentences? How many complaints does the Ministry of Justice receive about the coroner service ​every year? What training is given to the coroner service staff? Who holds the coroner service to account? Is it the Ministry of Justice or is there any form of local accountability? When was the last review of the coroner service, and what were its findings? Finally, when will the coroner service website be improved to offer more and better information to grieving and unsupported families, which seems a simple, straightforward reform? In conclusion, if we truly care about our environment and about the growing public health crisis, surely we must do far more to encourage cycling, both as a healthy activity and as a way to reduce carbon emissions and congestion, but tragedies such as the death of cyclist Ian Winterburn do nothing but discourage the public from cycling. We need to make cycling far easier and much, much safer, and part of that task is about ensuring that when terrible fatal accidents do occur, the appropriate administration of justice can be relied upon. We all need the assurance that cycling is a safe activity and a good way to move around our towns and cities for everyone who is capable of using a bike. Meaningful answers to and action from the Winterburn family’s pertinent questions, born out of tragedy and grief, would be a good start. Below is the text of the address to troops made by Theresa May, the Prime Minister, at RAF Akrotiri in Cyprus on 22 December 2017. I am delighted to be here in Cyprus with all of you today – and to have this opportunity to say a big thank you on behalf of our whole nation for everything that you are doing to keep our country safe by working to bring peace and stability to this region. And I am especially pleased to be here with you just before Christmas. For at this special time of year it is even more important that you know just how vital your work is – and just how much I appreciate the sacrifices that you and your families make in the service of our country. Here in Cyprus, you are at the epicentre of so much of our military activity in the region. It is from here that you have conducted more than 1600 air strikes against Daesh targets and supported more than 1450 personnel working with our allies and partners in Jordan and Iraq to fight Daesh and prevent its re-emergence. And let’s be clear just what a difference that has made. Just three years ago, Daesh declared a Caliphate in Iraq and Syria: a safe haven in which to carry out the most barbaric acts and from which to plot murder on our streets at home. But today, thanks in very large part to your efforts, that so-called Caliphate has been crushed and no longer holds significant territory in Iraq or Syria. You should be incredibly proud of that achievement. While we need to continue to deal directly with the threat they still pose in the region, we also need to focus on training the Iraqi Security Forces so they can keep Daesh out – which is why the work we are doing, and you are supporting, to train over 60,000 Iraqi security personnel is so vital, as I saw first-hand on my visit to Baghdad last month. It is also from here in Cyprus that you are sustaining our efforts to support the wider stability of our allies in the Middle East. This includes the expansion of the Quick Reaction Force in Jordan which I visited with King Abdullah in April and discussed with him again when I was in Amman late last month. Let’s be clear why this matters too. As conflicts and tensions fuel instability across the Middle East, it is not just the security of that region which is threatened, but the whole international order on which global security and prosperity depends. And as Daesh seeks new ungoverned spaces from which to plot and carry out attacks, it is not just in those spaces that security is at stake but in the UK too. So it is vital that we support the stability of our partners across the Middle East. It is also here in Cyprus that our armed forces are working for the United Nations on Operation TOSCA to help keep the peace at the buffer zone through Nicosia. This is an important part of the work that we are doing in fulfilling our international responsibilities as a permanent member of the United Nations Security Council. And I am clear that as a global Britain we will honour those responsibilities and continue to play a leading role in upholding the values and rules of the international order on which we depend. As part of this, I have committed to ensuring that we continue to meet our NATO commitment to invest 2 per cent of our GDP on defence and to spend 0.7 percent of GNI on development. But it is you – your professionalism, your courage and your sacrifices that give meaning to the pledges we make as a nation. It is you who take down our enemies and stand by our allies when the going gets tough. I also want to thank our hosts in Cyprus for all they do to enable you to operate from here. And I think I speak for everyone here when I say that this is a special place – something of a home from home – for the British armed forces. Finally, as we enter a year that marks the centenary of the end of the First World War – and of course the centenary of the Royal Air Force – I hope you can take great pride not just in what you do, but also in what you are part of. From its origins as the first entirely separate and independent national air force, fighting over the Western Front from 1st April 1918 – to the leading edge fighter, strike and transport aircraft of today, those of you in the RAF are the present day pioneers of the world’s most iconic air force. While every one of you here today is part of one of the greatest military forces in the world. And I hope that as a nation in this special year ahead, we can collectively raise the national consciousness of the work that you do and the sacrifices that you make in the service of others. As Prime Minister, I will do everything I can to lead the nation in this endeavour. For you are quite simply the pride of our nation. And that is how you should be treated. So let me start that mission by thanking you once again for everything that you are doing and by wishing you and your families the best possible Christmas and a happy, safe and successful 2018.